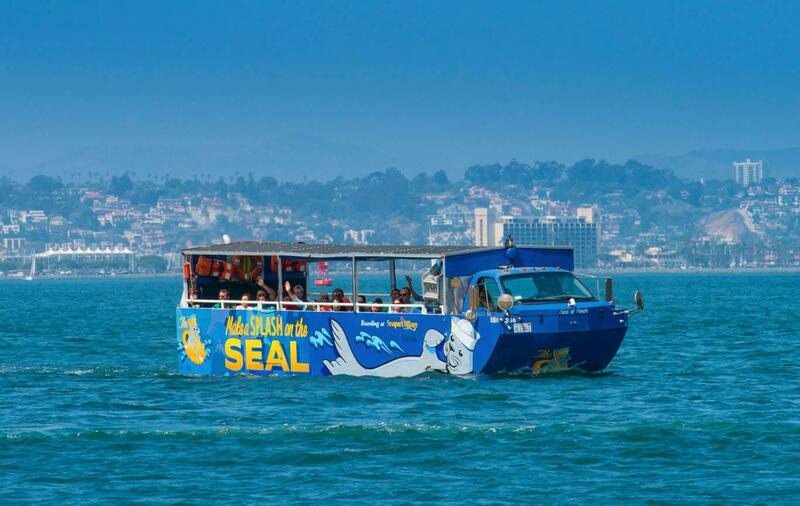 Join us on San Diego SEAL Tours to View America’s Finest City on a Boat with Wheels. 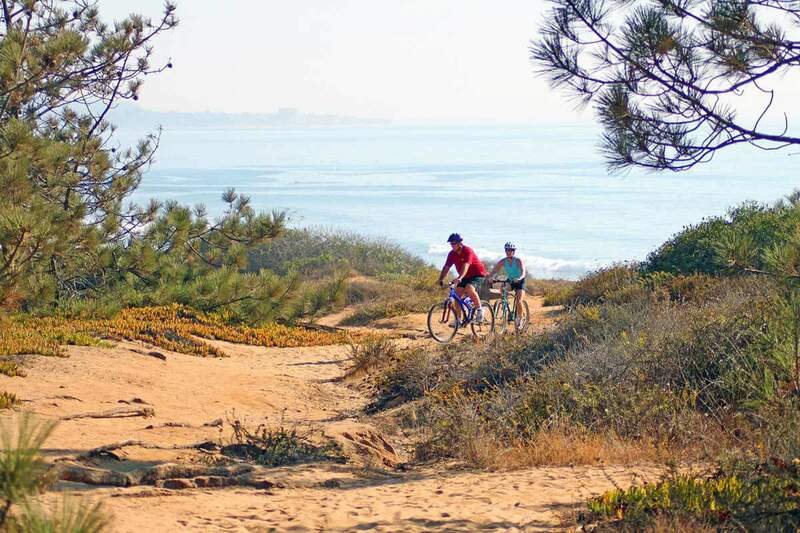 Ready to see the best of San Diego on sea and land? 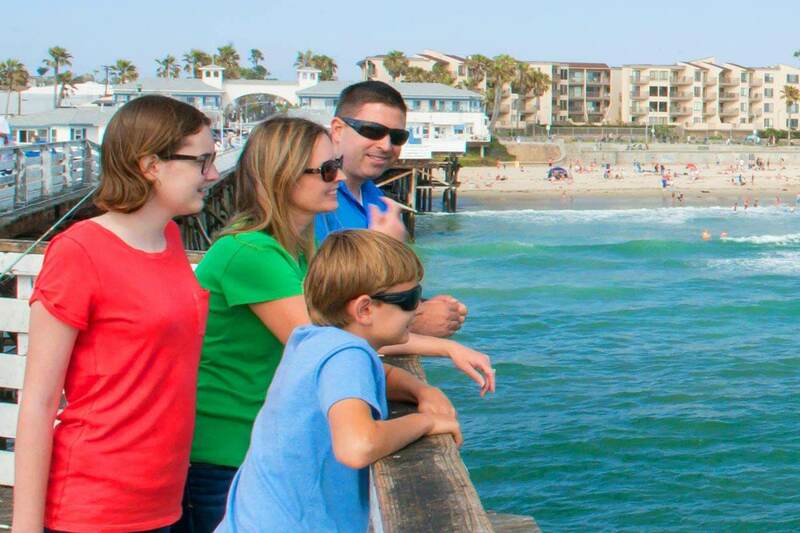 Your 90-minute, fully narrated SEAL Tour departs from Seaport Village or the Embarcadero. Wind your way through picturesque San Diego streets before splashing down for a cruise through the waters of the San Diego Bay. 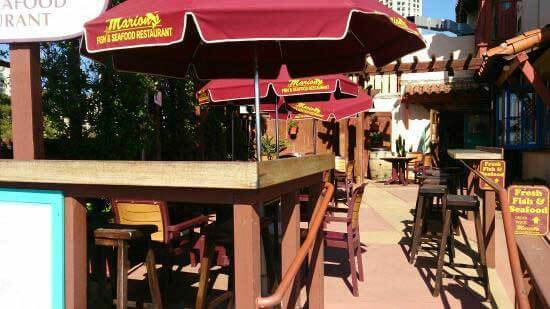 Experience the history and ecological wonders of San Diego in the comfort and security of our virtually unsinkable Hydra-Terras. Here you will learn first-hand of our rich military history and cruise through the waters that are the playground of the California Seals and Sea Lions. 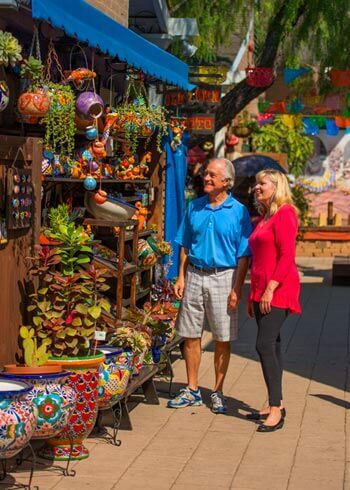 San Diego tours depart from two locations, Seaport Village or Embarcadero. 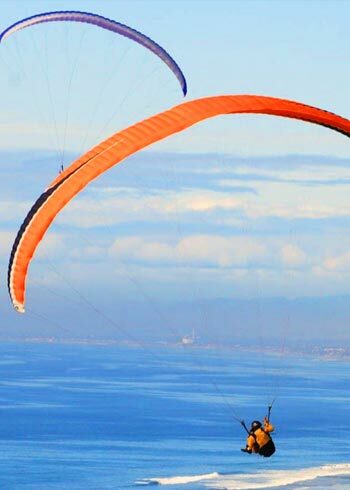 Your land and sea adventure is led by one of our experienced sightseeing tour guides. Our captain and crew are locals who love this beautiful city, so they know about the best things to see and do! View some of San Diego’s most famous points of interest including the Maritime Museum, Star of India, The U.S.S. 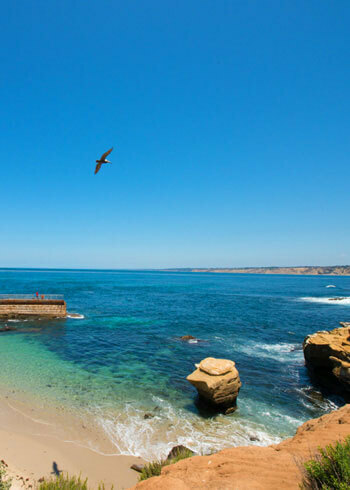 Midway, Lindbergh Field, Seaport Village, Shelter Island and many other San Diego attractions! 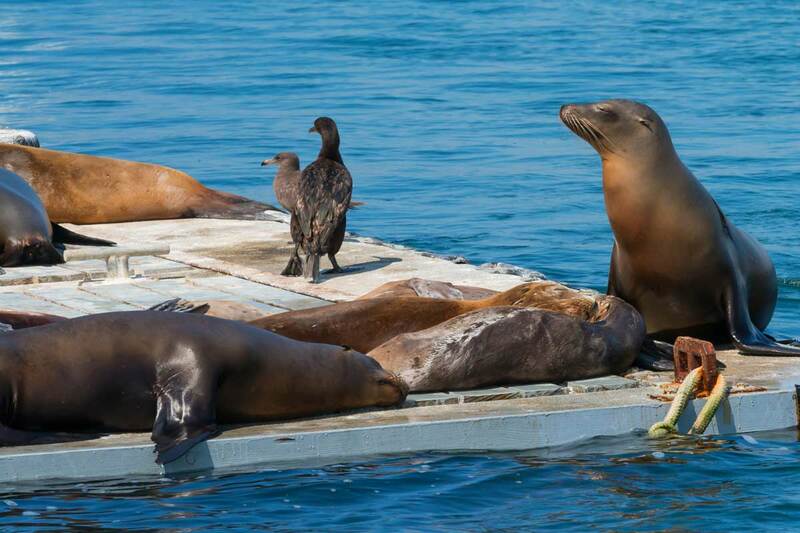 Once on the water, the boat tour glides past resident San Diego seals and sea lions, a few California brown pelicans, and several other wildlife species from the safety and comfort of our amphibious vehicles. 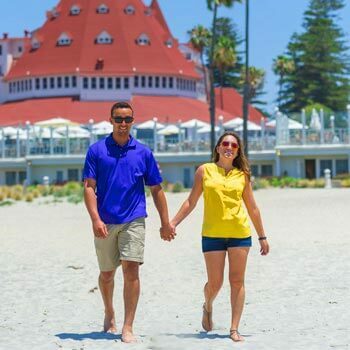 Enjoy a leisurely cruise and witness various San Diego attractions including Point Loma, the North Island Naval Air Station, Point Loma Submarine Base, the Scripps Institution of Oceanography, the Marine Mammal Training Center, Shelter Island and much more! The Star Of India is the World’s Oldest active iron clad sailing ship, sailing since Abraham Lincoln was President. Seaport Village was built on landfill over Punta de los Muertos, Dead Man’s Point, where the Spanish expedition of 1782 buried those who had died of scurvy. There are 33 different species of seals? The largest of these is the elephant seal, weighing up to 8,800 pounds. The foam flotation system in the SEAL has side sections of 100% aluminum, the hull is divided into small compartments and filled with foam material. The Naval Base located at Ballast Point was originally a Spanish Fort. 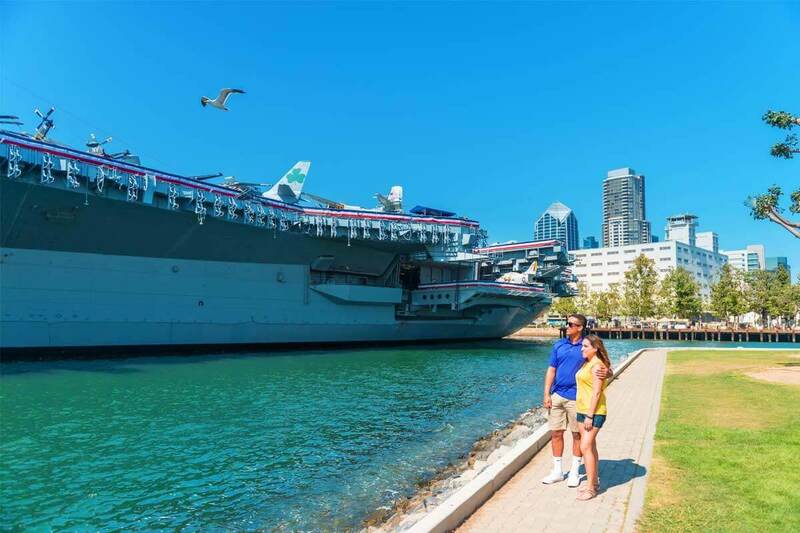 The USS Midway was America's longest-serving aircraft carrier of the 20th century, from 1945 to 1992. 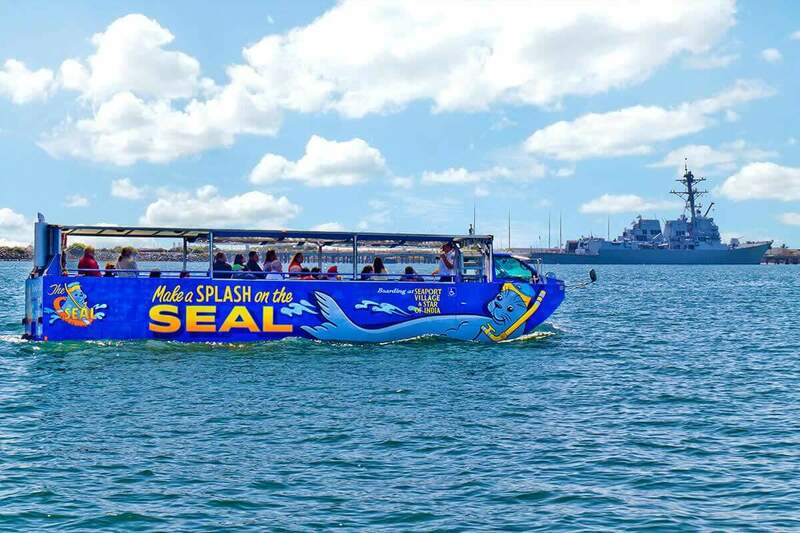 The SEAL tour departs daily from 10am - 5pm. 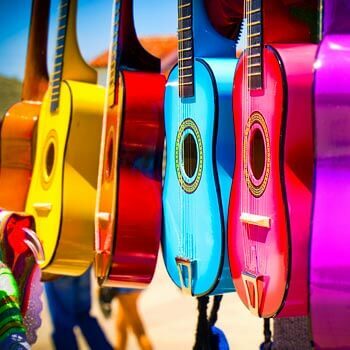 Summer Schedule: 10am – 6pm. Winter Schedule: 10am – 3pm. Parking may be difficult during the busy summer and holiday seasons. We recommend arriving 1 hour early. 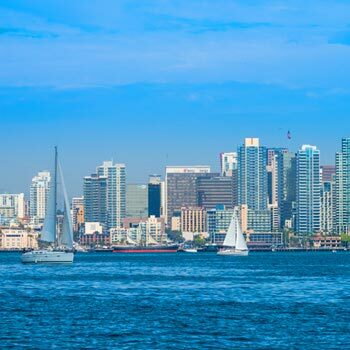 Wind your way through picturesque San Diego streets before splashing down for a cruise through the waters of the San Diego Bay. The sightseeing tour is approximately 90 minutes; 30 minutes on land and 60 minutes on the water.